Closed loop water cooling is all the rage right now. They are able to perform as good or better than the highest end air coolers, but take up much less space, don’t put a ton of strain on your motherboard, and are often times quieter. 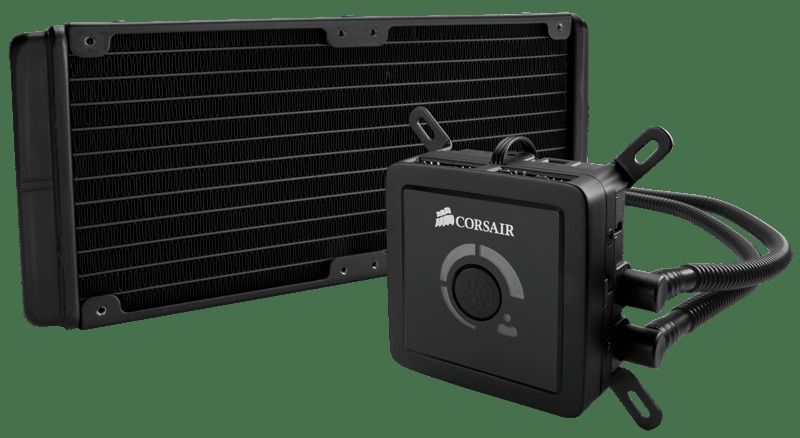 Add to that the fact that they are generally only a little bit more expensive than air coolers and you can see why they are becoming so popular. Today we are taking a look at Corsair’s highest end water cooler, the H100. This cooler sets itself apart from the other coolers on the market with its massive 240mm radiator. This larger radiator gives more surface area for heat dissipation, theoretically leading to better temperatures. Read on to find out how it stacks up against the competition.